Stronger With You lives in the present, molded by the energy of modernity. Unpredictable, he surprises with his originality, like the spicy accord in the top notes - a mix of cardamom, pink peppercorn, and violet leaves. The fragrance for men has inherited a confident elegance, with the easy nonchalance of youth, conveyed by the sage at his aromatic heart. 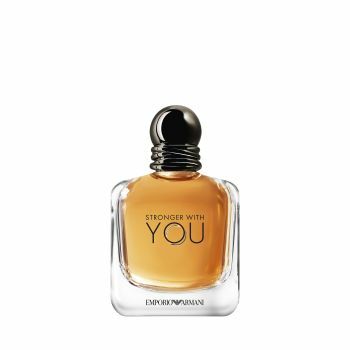 The scent communicates with sensuality: the smoky Vanilla Jungle Essence falls in love with the sugar coated chestnut accord, succumbing to his magnetism: stronger with you.